5 of us celebrate our birthdays in the same month. We always have one big party. 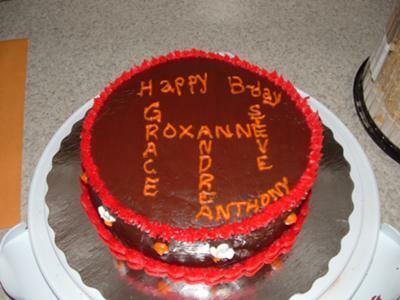 This is a fun crossword cake I made for everyone, using all of our names. I love this idea. I am going to try to make a crossword cake. We have a lot of January and February birthdays, and we always have one big party for the kids (cousins)Great idea.